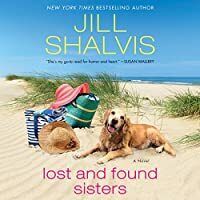 From New York Times bestselling author Jill Shalvis comes her first women's fiction novel -- an unforgettable story of friendship, love, family, and sisterhood -- perfect for fans of Colleen Hoover, Susan Mallery, and Kristan Higgins. On impulse, Quinn gives up her job, home, and boyfriend. She heads up the coast to the small hometown of Wildstone, California, which is just a few hours north, but feels worlds apart from Los Angeles. 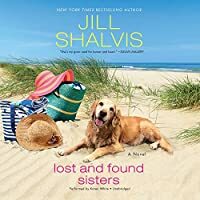 Though she doesn't quite fit in right away, she can't help but be drawn to the town's simple pleasures…and the handsome, dark-haired stranger who offers friendship with no questions asked. As Quinn settles into Wildstone, she discovers there's another surprise in store for her. The inheritance isn't a house or money, but rather something earthshattering, something that will make her question everything she thought she knew about herself, about her family. Now with a world of possibilities opening up to Quinn, she must decide if this new life is the one she was always meant to have -- and the one that could finally give her the fulfillment she's searched so long for.